Title: Chemical process Engineering design and Economics . Chemical process Engineering design and Economics is a book written by Harry Silla. This book was originally published in 2003 and is a 452 pages book that talks about engineering design process and the ways to manage the finances of these projects. The author talks about a systematic approach that can be used to solve design problems that engineers encounter in their process design. To do so, the author has included the needed equations that are important for the process. 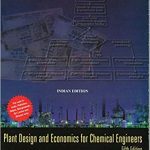 In Chemical process Engineering design and Economics, the author has focused on equations and calculations. This book contains process and design related calculations that deal with composition, temperature and pressure. Flow rates are also a focus of this text book and the author also has included information about sizing equipment. The book is illustrated for easier understanding and there are many easy guidelines in the book to follow. The calculations are easy to understand and follow too. 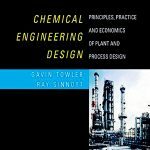 Chemical process Engineering design and Economics By Harry Silla starts by talking about the structure of processes and process design. In this chapter, the author deals with the fundamentals components of all processes and necessities of design. After that, he focused on Capital cost estimation as that is very important for every project. Then, the author begins to explain different aspects of processes such as heat transfer and circuit analysis. 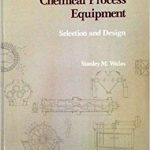 Chemical process Engineering design and Economics by Harry Silla also includes design components like Turbines and pumps. 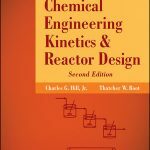 Reactor design and separator design are both explained in this book. Lastly, the author finishes Chemical process Engineering design and Economics with Design of Flow system. Chemical process Engineering design and Economics by Harry Silla has an appendix at the end. This appendix has conversion factors and SI units.